Creating a dream bathroom needs to be crossed the budget hurdle, but with Lauren, you have no more constrains to achieve your dream. 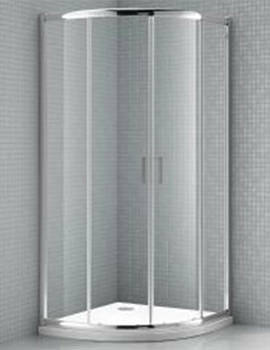 From a luxurious shower enclosure to a straight shower screen, Lauren makes your every showering, spectacular. The captivating style of Lauren Brassware creates an ostentatious ambiance, when fitted with any bathroom interior, and also assist you in spending joyfully comfortable moments in your bathroom. Lauren Heated Towel Rails is designed to compliment any space, with fascinating designs and incredible heat output. Myriad cheerfulness can be brought in your bathroom from the humungous range of Bathroom Furniture from Lauren. Featuring some of the classic vanity unit, WC unit, tall unit, and many more, in a variety of finishes, Lauren provides a mystique range of selection choice. The overall looks of your bathroom will appear to be more pleasing than before, with the series of breathtaking sanitaryware. In totality, Lauren will prove to be the most worthiest, reliable, and economical brand, in the creation of modern bathrooms.